I was off for the Good Friday, Easter Holiday and decided since Mary was working I would try and get some flight time in. I ran a few errands in the morning then headed for the airport. The air had a bit of a chill but it felt good to be walking across the ramp through the line of planes. I checked on 679er the club plane I used to fly and a few others on the ramp. Ahhh..08Romeo was waiting patiently to get started and break free of mother earth, I know that feeling. I had ordered fuel Thursday and needed to verify then sump on my preflight. I removed the covers, cleaned the windows and took my time with the preflight since it's been a couple of weeks since I last flew. Despite all the rain the tanks were free of water, the new seals at last annual were a good precaution, always trying to stay a few steps ahead with maintenance. Oil was good, a tic above six quarts which is where she likes to be and eliminates oil blowing by on to the belly. I noticed a few bird souvenirs inside cowling and on my nose wheel, some little feathered intruder is coming in and hanging out under cover. A second look with my LED flashlight confirms all clear and with the nose plugs in place the top of the cylinders are protected from birds nesting. I also added a tail cone cover from Planecover.com , best investment for keeping those nesting birds out of the plane. With a detailed preflight complete it was time to get the fan turning. I went through my checklists as a review and with a call for clear prop I cranked 08Romeo over......and over.....and over. Hmmm...that's a first since I brought her home after purchase. Ok, I gave seven shots of primer on the start checklist so I added three more and gave it another go. Maybe three blades this time and she was off and running. That's much better, alternator on, avionics on, check gauges again and check the engine monitor to confirm the amp gauge that we are charging. I flip the switch for com two and copy the ATIS while the Garmin 530 comes to life and scratch out the CRAFT mnemonic on my knee board for my clearance copy. I contacted ground with the "all in one" format they now seem to require and advise Sundowner 6708Romeo Red Eagle, Foxtrot, IFR Cape May. Ground replies, cleared WWD, fly runway heading, radar vectors OOD, direct. Expect 2000, 3000 in ten, 118.35 (Philly), squawk 1140. I read back the clearance and advise ready to taxi. Over to the tower and advise ready for release followed with a change, on departure fly heading 180. 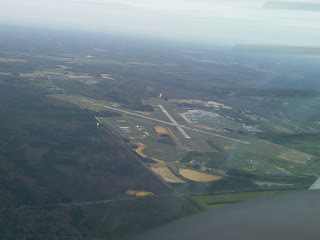 I acknowledge and start my roll climbing out of Wilmington and feeling good to be back in the air. As I climb through 400 feet I make a right turn to 180 and get handed off to philly. Upon check in I am cleared to three thousand and told to expect Cedar Lake (the VCN vor). I add VCN into the flight plan on the 530 and 496 and monitor my climb and course. Philly gives me the direct cedar lake, I acknowledge and make the turn on the new course. Altitude good, on course good, radios set for Atlantic City approach and since the AWOS is out at Cape May I tuned for the ATIS at KACY. Philly contacts me again and gives me direct Cape May, I turn towards the south east and update the 530 and 496 once again. 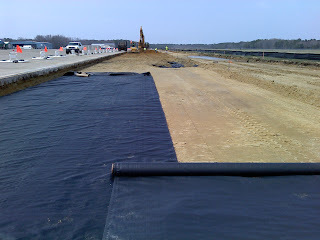 I was handed off to Atlantic City and rode along with them until maybe 10 miles out of Cape May. I advised the AWOS is out at WWD but I had information November at ACY and my destination in site. I had one traffic call out above me 500 feet crossing left to right heading south, I was looking. After I had a visual on the traffic I canceled IFR and switched to the unicom at Cape May. I announced my intentions and swapped info with a Malibu that was departing runway ten. I entered the pattern on a tight left base and following a short final set 08Romeo down slow and soft having to add power to make the first turn off at the Big Sky FBO. I made my call for Wilmington about ten miles out, Wilminton tower, Sundowner 6708Romeo 10 SE, full stop, foxtrot. No reply for a few seconds then 08Romeo enter right downwind runway nine, report midfield. I acknowledged and made the appropriate course adjustment. 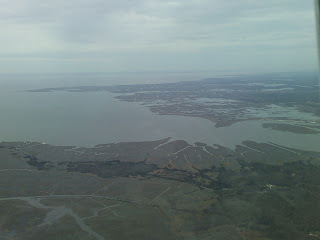 As I crossed the Delaware River I noticed a large bird circling left to right about 500 plus below me and off the nose. It was a Bald Eagle, maybe one of the New Jersey breeeding pairs out searching for food for the newly hatched eaglets. A very cool sight to see at least until it decided to give me a closer look and passed front to back down my right side as if getting itself into a better position to lock on. Awesome feeling sharing the sky with a Bald Eagle, it's not my first encounter and I hope it's not my last, they are beautiful. Back to the task at hand and that's setting up for my landing. A second check of gas, mixture, pump and switches set as I enter the pattern, we are ready to land. I made a nice short field landing and taxied off for my tie down at Red Eagle. One of our Op's vehicles swung around and parked across from my tie down and awaited my shut down. It was good to chat with Donna and catch up on company business (gossip) and check on each others family. It was time to get busy pushing back and getting 08Romeo secured. I had a few errands I wanted to take care of that I saved from this morning, including a lunch stop. A fun day flying as always.....can't wait to get back in the air. To say life in the Mascelli home has been hectic the last month would be an understatement. Mary and I decided we are going to head south for a Myrtle Beach get away that we so desperately need. Mary's very good friend Jo Anne sent along a notice that her oldest daughter is graduating from Coastal Carolina in May. Jo is having a BBQ after the ceremony so we figured why not jump in the plane and make the 4 hour flight instead of driving 10 hours. Hotel reservations are made, the dogs will be squared away by the end of the day and the plane is good on maintenance﻿ scheduled items and nav data subscriptions. We are keeping our fingers crossed for warm sunny days and a smooth flight. Pictures and trip report to follow. Another great topic on the Pilots of America Forum that sheds some light on approach plates and how we handle approaches when the flight warrants a change. The FAA chart reads, "NoPT for arrival on MAD VOR/DME airway radials 235 CW 317." The Jeppesen chart reads, "NoPT Arrival Sector via Airway" The applicant appealed his failure though the appeal was later denied on the grounds that the NoPT arrival sector is defined by two radials and although the chart says "via Airway," you need not be on the Airway to be considered inside the NoPT arrival sector. What are your thoughts? Enter the HILPT because you're not inbound to the VOR on an airway? No HILPT because you're arriving from the NoPT Arrival via Airway sector? ATC is not expecting the PT if you fall within the note on the plate. For the KMIV VOR A that would be "No PT for arrivals on VCN airway radials 301 CW 115". 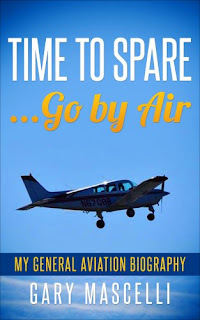 If a pilot wants something different from what's published, you must coordinate with ATC. The plan was to head out early for a Beech Aero Club get together in Quonset RI (KOQU). I've been watching wx and decided to file my flight plan last night in hopes of a better morning outlook today. It was doable to get out of Wilmington this morning and was looking ok for the destination but along the way was dotted with ceilings of 200' which didn't leave me a warm and fuzzy for any emergency outs. Yes, I do have my instrument ticket but I am still building on my minimums for time in actual. This would have been a single pilot IFR flight in very busy airspace through NY's bravo. Brains won out over testosterone and I decided on a local hop instead. 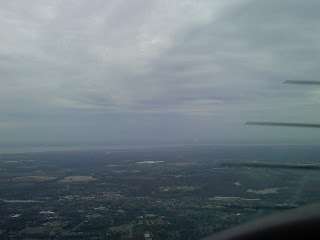 By the time I launched from home ceilings were just 2800' overcast which was consistent the whole route to Cape May, NJ. I dialed in some tunes on xm and turned on the auto pilot for some practice. traffic was non-existent at cape may, I was it, all of it. I entered a left base for runway one zero and made a nice short field landing with a turn off on the first taxiway. 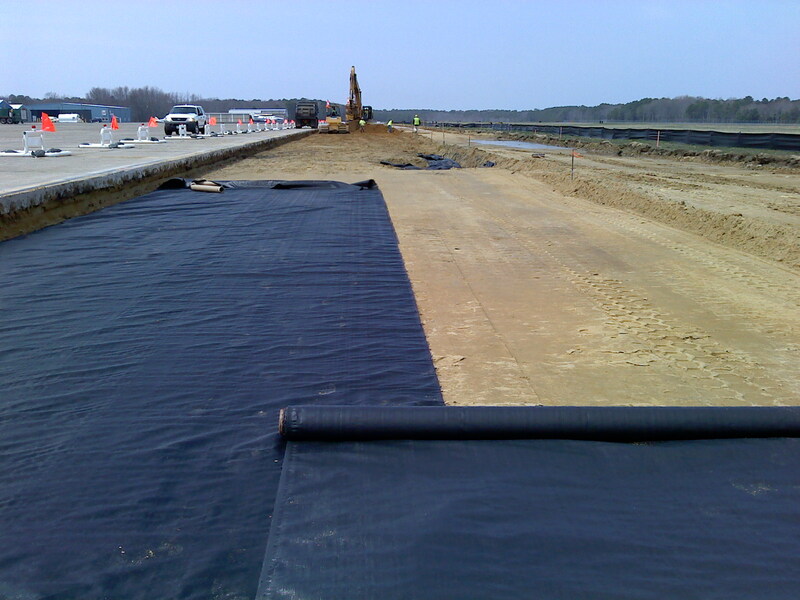 I pointed 08Romeo towards the terminal and taxied close to the barricades to check out my construction project. It was really wet with plenty of standing water. I turned around next to the Air Station museum and taxied back to runway one zero for departure. I made a call, rolled on the runway and was soon climbing out for 2,500. I dialed in KMIV, Millville and listened to Millville radio tie things up as usual. 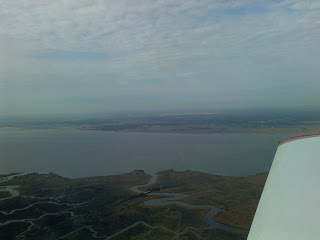 There was a Mooney inbound from the north side entering the left down wind for runway ten, I planed on following suit. I made my call to cross mid-field south to north and enter a left down wind for ten and that I had the Mooney over the numbers. I was all by myself again and put another soft landing in the book. I taxied over to the ramp at the Flight Line Cafe' and secured 08Romeo. I decided on breakfast while I was here then would bug out for home. My typical two over medium with bacon, hot tea and grits went down ok and I was out as fast as I came in, just seven bucks lighter. As I walked out to the plane I noticed a CAP flight Cessna parked next to me with its wing covering over my wing tip. Nice, real nice and I guess I'll whack my head since the other guy can't park even with another 45 feet or so left between him and the other side of the ramp. It took all I could to keep my mouth shut until he had the youngsters buckled in and the door shut, then I had to ask why in the hell did you park so close, next time leave some room. He totally ignored me, he walked away....sigh....jackass...why oh why can't I mount a gun on my plane ???? I waited for "maverick" to get his CAP flight Cessna clear then I got 08Romeo started. I gave him plenty of room and decided to follow a gorgeous Mooney out, that way there was some buffer and the urge to switch to guns wouldn't be as bad. Millville radio was their typical self, no need beating that horse again....or still. I launched for home and made my calls departing the area to the north. The wx really turned into a great day and I'm glad I got to knock out some landings while checking on my projects. Today I make my call to the tower at around ten miles out as I always do. I made sure the frequency was clear then asked if I had missed something with the say intentions request, not used to hearing that upon check in. I was told they want all the information at one time, it's a time saver, it's what they like. Hmmmm....oooook. I said not the normal procedure anywhere else i fly but just wanted clarification and thanked him. What gives, are we not required to "establish" communications prior to entering class delta? "Establish" to me does not mean give them the who what when where on the initial contact. Just wondering if I missed some change or have I been wrong all this time. What do you CFI's teach out there? I know what I was instructed to do. Sec. 91.129 — Operations in Class D airspace. (a) General. Unless otherwise authorized or required by the ATC facility having jurisdiction over the Class D airspace area, each person operating an aircraft in Class D airspace must comply with the applicable provisions of this section. In addition, each person must comply with §§91.126 and 91.127. 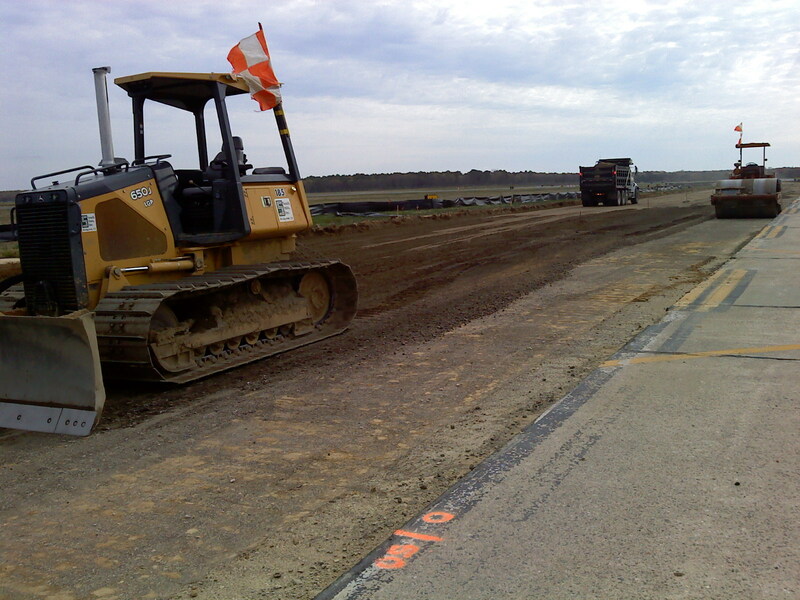 For the purpose of this section, the primary airport is the airport for which the Class D airspace area is designated. 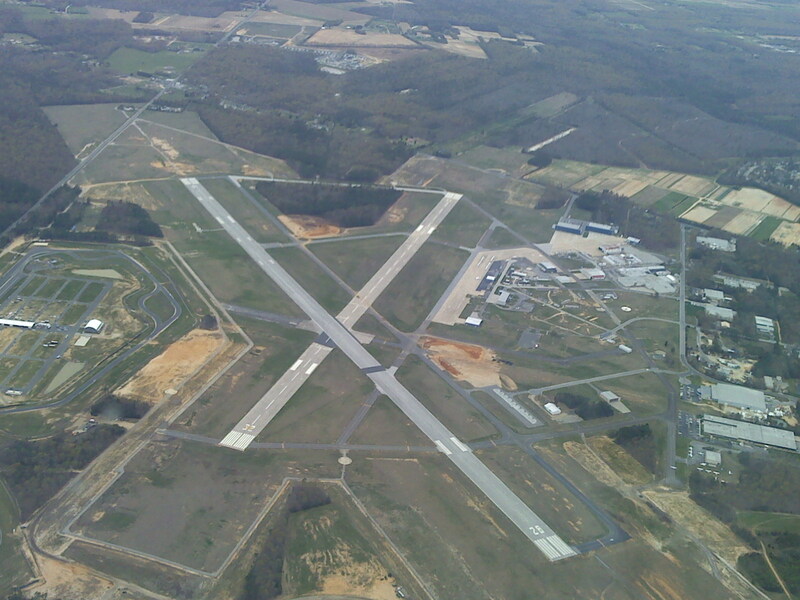 A satellite airport is any other airport within the Class D airspace area. (b) Deviations. An operator may deviate from any provision of this section under the provisions of an ATC authorization issued by the ATC facility having jurisdiction over the airspace concerned. ATC may authorize a deviation on a continuing basis or for an individual flight, as appropriate. (c) Communications. Each person operating an aircraft in Class D airspace must meet the following two-way radio . (1) Arrival or through flight. Each person must establish two-way radio communications with the ATC facility (including foreign ATC in the case of foreign airspace designated in the United States) providing air traffic services prior to entering that airspace and thereafter maintain those communications while within that airspace. ﻿9AM meet at the airport for a quick breakfast run to 26N, Ocean City, NJ. Mike flew left seat today and I worked radios. The morning wx reports looked pretty good but just prior to start up a front moved across the Chesapeake Bay and was closing on Wilmington. We decided to launch and head east for the Jersey shore. The haze was out in force and cloudy skies loomed overhead. I picked up flight following from Atlantic City as we approached VCN -Cedar Lake VOR, Visibility was limited and we would have filed but neither Mike nor I wanted to get into the clouds with freezing temps and xm wx showing plenty of green. I canceled flight following with Atlantic City, who was pretty busy with traffic and had one aircraft returning due to a rough running engine. I had dialed in unicom and set up the VOR A approach which would dump us at midfield for a left turn to a right down wind for runway two four. Atlantic City was reporting winds 250 at 11 but the sock at Ocean City was about a 45-50 degree crosswind and gusting to full straight out. Mike made the base to final turn at a good bank angle, a "gary" turn as he called it and aligned us for final. A smooth landing with good stall horn and we were down and clear. We walked into a full house at the restaurant that is attached to the terminal office. Service was fast, the place was clean and the food very good. I will make this stop again and maybe walk to the beach, ok, take a cab to the beach. Mike and I talked flying and procedures, flight planning and whatever else crossed our minds, always a good time. We settled up the bill and headed out to 08Romeo. Engine still held temps since I put the nose plugs in and with a visual fuel remaining check we were ready to go. 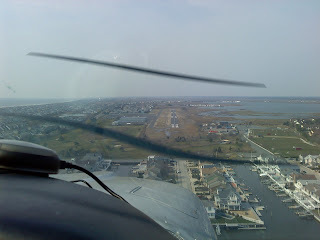 The wx had actually gotten worse so we scrubbed the plan to make the short hop to Cape May. Instead we chugged and plugged for KILG via the VCN, Cedar lake vor. There was plenty of green on the south side of Millville coming across the Delaware bay with a few yellow cells mixed in. The choice to make for VCN will take us north of the wx and provide a better shot at getting home. We discussed outs to the north and agreed on 17N, Cross Keys if needed. With a plan in mind and agreed to, we launched for home. Cloud bases and freezing temps were at 3500 and we were holding at 2500 riding out a few bumps along the way. We caught the tail end of the green mass passing to our south and watched the heavy rain awaiting our arrival. Mike made a right turn maybe 25 degrees to keep us clear as the Cedar Lake VOR passed off our right side. We turned back on course and went through the slot for Wilmington. You could visually confirm the cells on the xm north of us and what had passed to our south. The sky was looking better the closer we got to home. I selected the GPS 27 approach since the Wilmington tower requested us to make straight in for two seven. 08Romeo was closing on the twin spans over the Delaware river and turned for a long final. 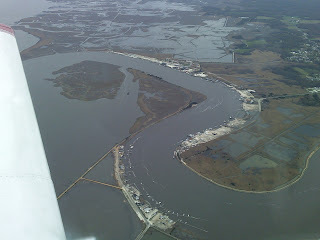 Once clear the twin bridges Wilmington cleared us to land, I acknowledged. Another nice landing by Mike and 08Romeo is home. Always fun flying with Mike. We really do work the Crew Resource Management (CRM) very well, things just seem to flow. I read a post on the Pilots of America forum last night, posted by a pilot I know. The post provides an interesting approach to keeping our skills sharp and allows fellow pilots to "brainstorm" on how we each attack the plan. Aircraft: de-iced Piper. New boots all around, prop de-ice, alcohol windshield. 122 kt climb AS; 750-1000 fpm with the expected load. 10,000 foot limit. Go-nogo? What route and altitude? W 1/3...OVERCAST AT 3000 FT TOP LAYERED FL200. VIS 3-5SM LIGHT SNOW MIST. 15Z BROKEN 5/8-7/8 COVERAGE AT 4000 FT TOP 100. 20Z BROKEN 5/8-7/8 COVERAGE AT 6000 FT. OUTLOOK...VFR. CENTRAL 1/3...OVERCAST AT 3000 FT TOP FL200. VIS 3-5SM LIGHT RAIN SNOW MIST. 16Z BROKEN 5/8-7/8 COVERAGE AT 4000 FT.
20Z BROKEN 5/8-7/8 COVERAGE AT 4000 FT TOP 100. OUTLOOK...MARGINAL VFR CEILING. 02Z VFR. E 1/3...OVERCAST AT 2000 FT TOP LAYERED FL200. VIS 3-5SM LIGHT RAIN SNOW MIST. 18Z OVERCAST AT 3000 FT TOP 150. OUTLOOK...MARGINAL VFR CEILING. W HALF...OVERCAST AT 3000 FT TOP 100. VIS 3-5SM MIST. 15Z BROKEN 5/8-7/8 COVERAGE AT 5000 FT. OUTLOOK...VFR. 00Z MARGINAL VFR CEILING. E HALF...OVERCAST AT 4000 FT TOP 100. VIS 3-5SM LIGHT SNOW MIST. 16Z BROKEN 5/8-7/8 COVERAGE-OVERCAST AT 5000 FT. OUTLOOK...MARGINAL VFR CEILING. BROKEN 5/8-7/8 COVERAGE AT 4000 FT. 17Z BROKEN 5/8-7/8 COVERAGE AT 5000 FT. WIND NORTHWEST G25KT. OUTLOOK...VFR WIND. 02Z VFR. SW-S CENTRAL VA...OVC030-040 TOP 080. VIS 3-5SM MIST. 15Z SCATTERED 3/8-4/8 COVERAGE-BROKEN 5/8-7/8 COVERAGE AT 5000 FT. 18Z SCATTERED 3/8-4/8 COVERAGE AT 5000 FT. WIND W G25KT. OUTLOOK...VFR. 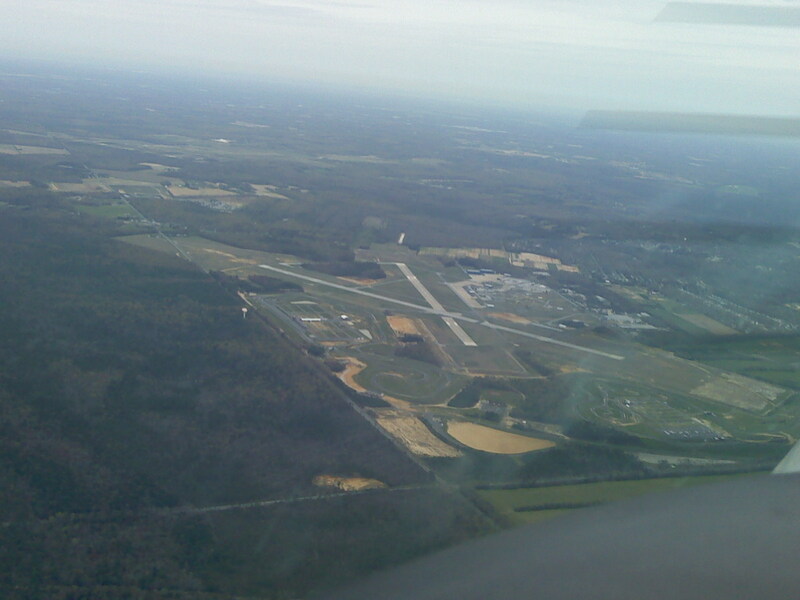 SOUTHEAST VA...OVERCAST AT 1000 FT TOP 060. VIS 3-5SM MIST. 16Z BROKEN 5/8-7/8 COVERAGE AT 2000 FT OVERCAST AT 4000 FT. 20Z BROKEN 5/8-7/8 COVERAGE AT 5000 FT TOP 080. OUTLOOK...VFR. N OF ACK...OVERCAST AT 1000 FT TOP FL250. VIS 3-5SM LIGHT RAIN SNOW MIST. ISOL EMBD LIGHT THUNDERSTORM RAIN. CUMULONIMBUS TOP FL350. WIND E 30G40KT. BECOMING 1820 OVERCAST AT 3000 FT TOP 080. OUTLOOK...MARGINAL VFR CEILING. REMAINDER E OF HTO...OVERCAST AT 1000 FT TOP FL280. VIS 3-5SM LIGHT RAIN. ISOL EMBD - THUNDERSTORM RAIN. CUMULONIMBUS TOP FL350. BECOMING 1518 OVERCAST AT 2000 FT TOP 080. WIND W G25KT. OUTLOOK...MARGINAL VFR CEILING. 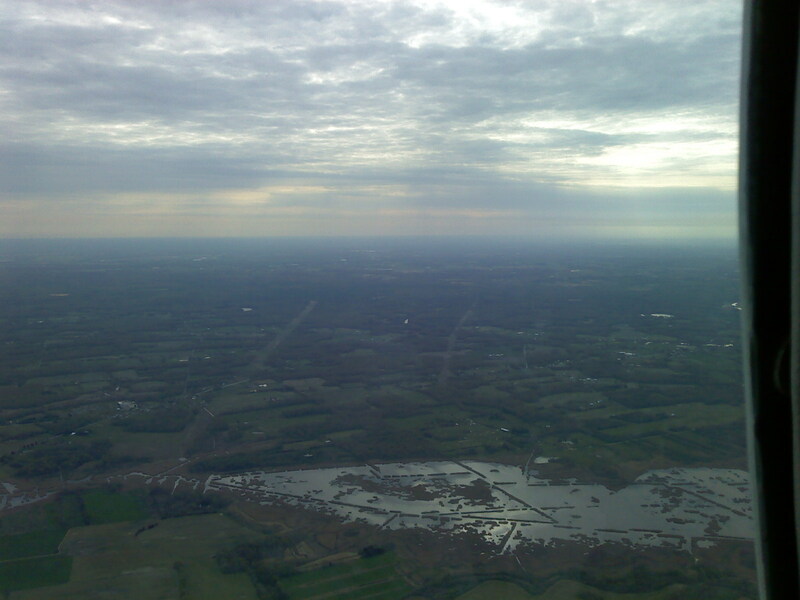 W OF HTO...OVERCAST AT 1000 FT TOP 080 BROKEN CIRRUS. 18Z BROKEN 5/8-7/8 COVERAGE AT 2000 FT. WIND W G25KT. OUTLOOK...MARGINAL VFR CEILING WIND. SEE AIRMET SIERRA FOR IFR CONDITIONS AND MTN OBSCURATION. THUNDERSTORM IMPLY SEVERE OR GTR TURBULENCE SEVERE ICE LOW LEVEL WIND SHEAR AND IFR CONDITIONS. NON MSL HEIGHTS DENOTED BY ABOVE GROUND LEVEL OR CEILING. WIND FROM 300 DEGREES AT 5 KTS, VISIBILITY 3.00 MILES, WEATHER LIGHT SNOW, MIST, SKY OVERCAST AT 2400 FT, TEMPERATURE 1C (33 DEG F), DEW POINT 0C (32 DEG F), ALTIMETER SETTING 29.49 INCHES. KFDK (FREDERICK, MD) SCHEDULED OBSERVATION 01/1057 UTC, AUTOMATED SOURCE, WIND CALM, VISIBILITY 2.50 MILES, WEATHER MIST, SKY OVERCAST AT 2000 FT, TEMPERATURE 2C (35 DEG F), DEW POINT 2C (35 DEG F),ALTIMETER SETTING 29.56 INCHES. KMRB (MARTINSBURG, WV) SCHEDULED OBSERVATION 01/1053 UTC, WIND FROM 290 DEGREES AT 7 KTS, VISIBILITY 10.00 MILES,SKY 1/8-2/8 COVERAGE AT 6000 FT, OVERCAST AT 11000 FT, TEMPERATURE 3C (37 DEG F), DEW POINT 1C (33 DEG F), ALTIMETER SETTING 29.54 INCHES. KOKV (WINCHESTER, VA) SCHEDULED OBSERVATION 01/1100 UTC, AUTOMATED SOURCE, WIND FROM 320 DEGREES AT 4 KTS, VISIBILITY 10.00 MILES, SKY SCATTERED 3/8-4/8 COVERAGE AT 5500 FT, OVERCAST AT 11000 FT, TEMPERATURE 3C (37 DEG F), DEW POINT 3C (37 DEG F), ALTIMETER SETTING 29.55 INCHES. KINT (WINSTON SALEM, NC) SCHEDULED OBSERVATION 01/1054 UTC, AUTOMATED SOURCE, WIND FROM 300 DEGREES AT 3 KTS, VISIBILITY 10.00 MILES, SKY CLEAR BELOW 12,000 FT, TEMPERATURE 3C (37 DEG F), DEW POINT -1C (31 DEG F), ALTIMETER SETTING 29.62 INCHES. My flight plan choice last night was for the east side of DC and stay with warmer temps. This morning, after reviewing wx and downing a second cup of tea from dunkin donuts, I would change my flight plans. I like the west side of DC that is now clearing out and once Lancaster (LNS) opened up a bit and the snow passed I would check freezing levels again. If a go for launch was the decision I would take the following route, KLNS LRP V143 LEAKS V20 PROVE KINT (pictured below). I know this post was a very brief recap of the process that is invloved in the go-nogo decision. The flight plan takes time and the process we take to reach our final decision is there to keep us safe. I use skew T diagrams, AOPA wx, Vans airforce wx, DUATS and pretty much what ever else gives me that comfort factor. I will say that I keep to the same process, follow an order of sorts to put the pieces of my plan together and plot it out. I want to ask those of you Pilots and student pilots reading along, what do you do, what if anything is different from the norm in your typical planning? What do you do that others don't, what out of the box methods can you share with us?